Practix OK-160 draw slide machines are specially designed to suit the needs of many types of manufacturing and printing operations including dye sublimation and heat transfer printing on a large variety of substrates. The OK-160 is an automatic heavy-duty dual station press. With its large airbags, the machine is able to print onto materials with decreased dwell times supplying a large amount of pressure. 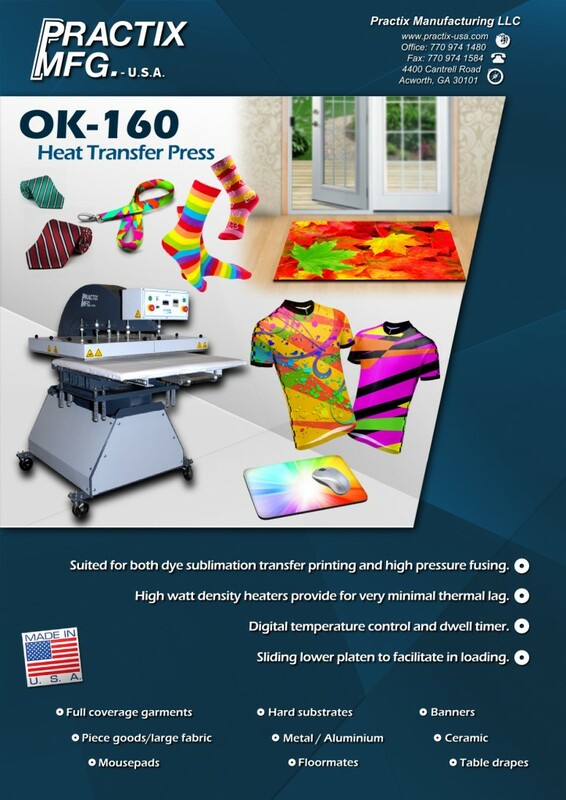 These presses are perfect for the transferring into flags, all over garments, mouse pads, leggings, and more products that require a high level of fusing pressure while maintaining high productivity. Like all Practix heat transfer equipment, the drawer slide line is made from a heavy duty steel-forged frame, and its simple unitized design gives it an unsurpassed durability and stability for precise printing. Extremely simple in operation, minimum physical effort, and high productivity are the result of the drawer slide system. With this system, the tray pulls away from the heat source for loading and unloading. Optional reciprocating tray system is available for this model for even higher productivity. With this system, one tray is under the print head while the other is available for loading. 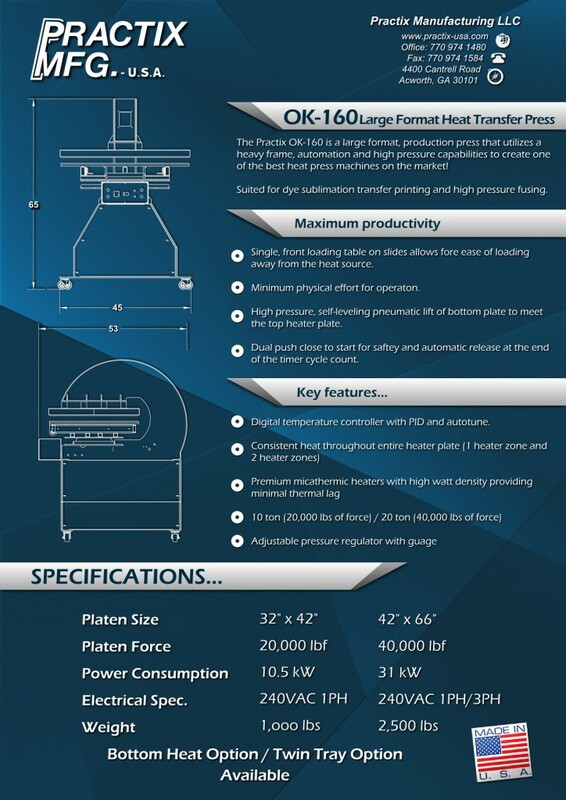 Premium quality printing is achieved due to the electronic temperature and time control system. A high watt density heater on the platen allows the heater to heat up faster and maintain consistent temperature during production.